After a long cold winter, most people can’t wait for spring. And it’s not difficult to understand why. The barren trees blossom into vivid colors, perfuming the air with their sweet scents. Fuzzy little chicks hatch in elementary school classes. Skies turn from dishwater gray to blue. There really does seem to be a collective sigh as the world shakes the ice from its shoulders. 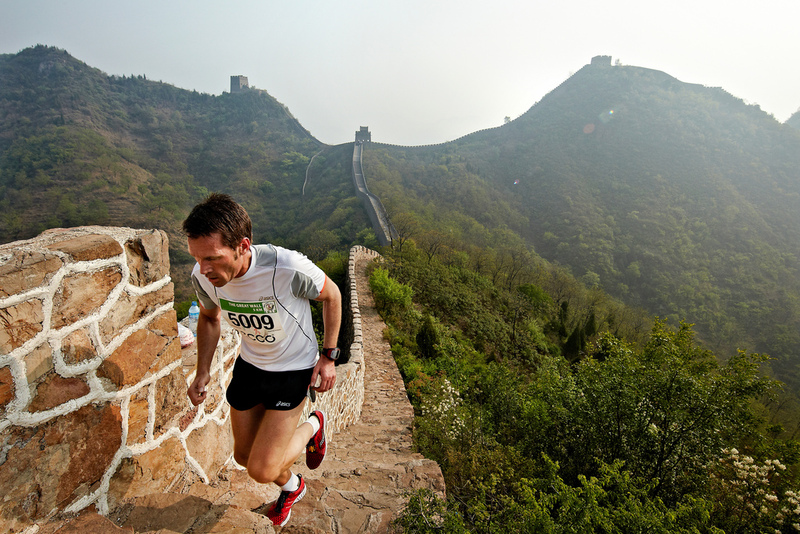 For those who want to tick two items of their bucket list—visiting the Great Wall of China and running a marathon—the May 18 Great Wall Marathon could be just the ticket. Yet, these 26.2 miles are some of the world’s toughest with super steep ascents and just as sharp descents. Competitors literally have to race across 5,164 steps, some of which require crawling to traverse. However, despite the immense difficulty, the Great Wall Marathon affords delicious eye candy. Competitors will enjoy soaring panoramas of the Chinese countryside and intimate views of quaint villages. This marathon follows the more than 500-year-old Inca Trail, from the Aguas Calientes valley outside of Cusco, Peru to the lost city of Machu Picchu. Along the way, runners will traverse several different climes, from jungles to mountains, as well as thousands upon thousands of ancient stone steps. By the way, missteps on this course aren’t forgiving: runners could fall as much as several thousand feet if they aren’t careful. This year’s Inca Trail Marathon, known as the world’s most difficult race, is held on August 15. 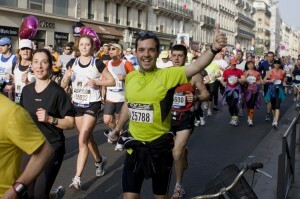 The city of lights and amour is also known for its relatively flat marathon course. Held on April 7 this year, the Marathon de Paris will attract somewhere in the neighborhood of 46,000 competitors, making it one of the world’s largest marathons. And for a city race, it’s also one of the most aesthetically pleasing. Runners will jog along the River Seine, by a château (Château de Vincennes—not to be mistaken for de Versailles which is much farther afoot), past Notre Dame, and of course by the Eiffel Tower, crossing the finish line just outside of the picturesque Bois de Boulogne park. California’s Big Sur International Marathon will be held on April 28, and the time to beat is 2 hours 16 minutes and 39 seconds. A man named Brad Hawthorne finished the Big Sur Marathon in this record-breaking time back in 1987. But beating Hawthorne’s time isn’t going to be an easy task. The course, which skirts the Pacific Ocean on scenic Highway 1, rises and falls with hill upon hill upon hill. Yet the redwood forests, the rippling water, and the idyllic ranches that line the way will make this 26.2 miles a treat for your eyes, even as your legs and lungs are burning. Compared to Paris’ enormous race, Canada’s BMO Vancouver Marathon is tiny, with a cap of just 5,000 runners. But this relatively small race is big on views. Competitors will start at Queen Elizabeth Park and then make their way to the coast, where they will enjoy speeding along the peaceful Spanish Banks, by popular Kitsilano Beach, and up and around the magnificent Stanley Park Seawall. The varied landscape—city, mountains, sea—makes this marathon (and this city) one of the world’s coolest. Emily Halonen Bratcher is a contributing writer at U.S. News and World Report. Subscribe to get the best of EthnoTraveler sent directly to your inbox!